I have to apologize here. I've been meaning to post. I really have been. I've also been meaning to quilt. And go to the gym, but that isn't why you're here, right? Last weekend I actually finished my plus quilt top. I don't have pictures of the actual finished quilt top yet. It's partly because I'm too busy. Tuesday afternoon, I had a job interview downtown after work. By the time I got home, my husband and I had time to run my car to the shop for a service, have dinner and go to bed. Wednesday I was at a training session (downtown again) and had to drop laptops off at one of our offices before going home, having dinner and going to bed early. Yesterday I had a dentist appointment after work and the in-laws arrived for the weekend. And tonight I have my second interview (hooray) with the same company, my inlaws visiting and an implementation to do for work from 10-11pm. Which is better than the 2am time I had last time. It's partly because I slept wrong one night and had some serious shoulder/neck pain. And it's partly because even if it's still daylight out when I get home, it's overcast or snowing or melting and everything is mud. I really want a good picture of this quilt top. 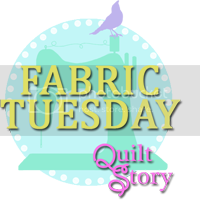 The original pattern is from Fons and Porter's Easy Quilts (Fall 2012). That was the ultimate destination. It used a jelly roll and white yardage. I had a bali pop (watermelon) and really wanted to use it and I thought this was perfect, but I couldn't find a white batik that I liked with the watermelon. I tried grey. I tried cream. Everything I tried looked wrong except a rich blue and a green. I decided to go with the blue. You know what? I think I'll just make sure I get some good pictures of it this weekend. In other news, I recently asked a friend what color she'd like for a quilt. Her answer? Anything but blue - she hates blue. At first I thought that would be easy. I don't use a lot of blue, right? I'm wrong. 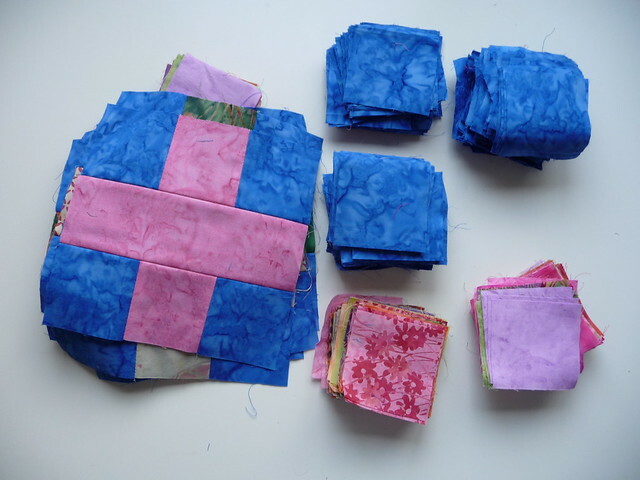 Every quilt that I currently have on the go either has a bit of blue in it or is mainly blue. I have a stack of Pure by Sweetwater - in blue. I have the quilt above which is solidly blue. 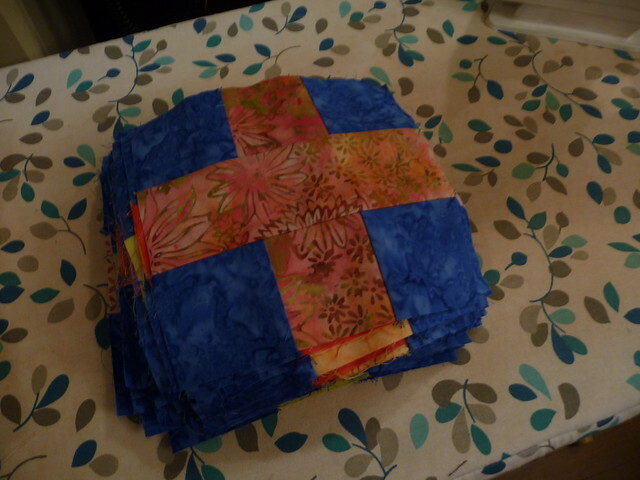 I had a stack of fabric for a churn dash quilt - in brown, tan, blue and green. Two of my last 3 quilt finishes - blue. Three out of my five finished quilt tops waiting to be quilted? Blue. I think this means I get to buy fabric! Progress feels great, it really does. A lovely year of finishes - April goal.